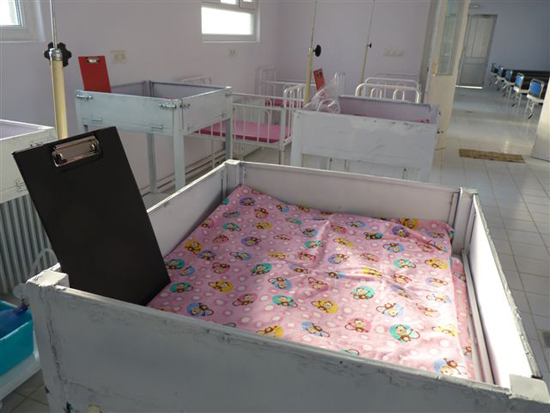 Because of ongoing security concerns, MSF has postponed resuming work in its maternity hospital in Khost province. The maternity hospital in Khost province, where conflict has forced MSF to suspend activities. KABULl/KHOST, May 26, 2012—Doctors without Borders/Médecins Sans Frontières (MSF) has postponed a decision to resume work in its maternity hospital in Khost province in eastern Afghanistan. Five weeks after an explosion in the hospital injured seven people, MSF still does not feel that the environment is secure for its patients and staff. “Nothing is more important to us than safety in our hospitals,” said Benoit De Gryse, MSF’s country representative in Afghanistan. “As a medical organization and as guests in Khost, we have to rely on others to ensure we can treat patients without the threat of violence. We call on all relevant actors in Khost to do what they can to make sure that the environment is safe enough for us to return,” he said. MSF will continue to monitor the situation in Khost and carry out consultations with the community there. The organization is also awaiting results of investigations into the explosion by all relevant authorities. There is no date set for a final decision on whether to re-open the maternity hospital. There is an enormous need for free quality maternal health care in eastern Afghanistan, and MSF deeply regrets that the current environment makes it impossible to continue its work. Between early March, when the MSF hospital opened, and the suspension of its activities in mid-April, staff performed more than 600 deliveries and helped 100 women experiencing complications during their pregnancies. “We are grateful for the overwhelming support we have received from much of the Khost community, but we cannot return unless we are certain that we can provide health care in a secure environment,” said De Gryse. MSF teams also work in Ahmad Shah Baba Hospital in eastern Kabul and Boost Hospital in Lashkargah, Helmand province. The organization also runs a trauma center in Kunduz, providing lifesaving surgical care to people in northern Afghanistan. In all locations, MSF provides medical care free of charge and works in all wards of the hospitals. MSF relies only on private funding in Afghanistan and does not accept money from any government.